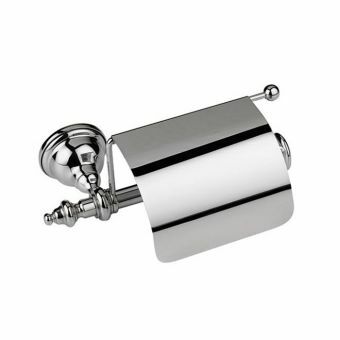 Imperial Accessories are crafted by experts to give an unrivalled level of sophistication to the bathroom space. 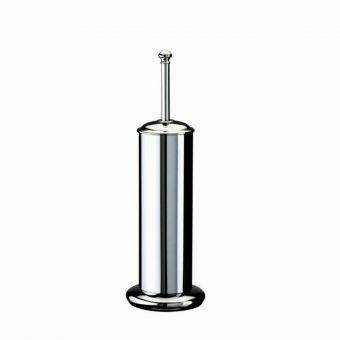 Bearing all the traits expected of beautiful, decorative objects, they elevate the whole atmosphere and interface of the bathroom area. The Imperial Bathrooms range contains collections which can suit almost any bathroom available, but with increased choice and versatility come more decisions. 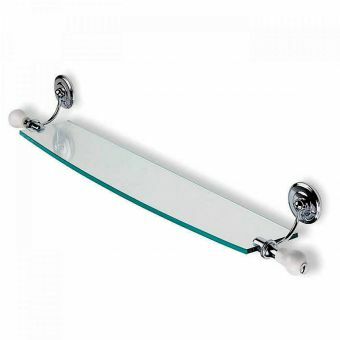 Whether you're going for a traditional, timeless look or a more contemporary design, not only will you find the perfect items to match your style in many of these collections, but you'll also find subtle ways to make a clear difference, with accessories that truly have a style of their own. 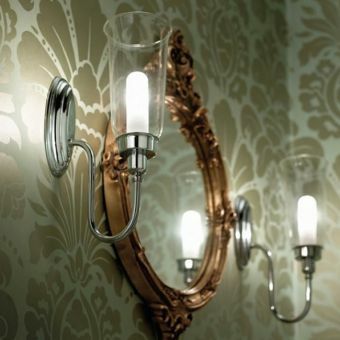 Other Imperial accessories include a stunning range of mirrors, available with ornate frames, or simple wooden options for a more rustic effect. 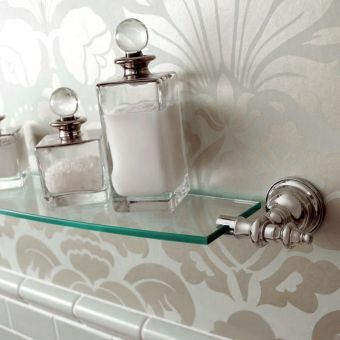 Stylish glass shelving units are affixed with ornate brackets, providing essential storage in style. To finish off the interior, those little details such as robe hooks, soap dishes and toilet roll holders are all presented beautifully here, complementing each other in a natural way. This guide will help give you the gist of each of these stunning collections, as well as give you some ideas of how best to apply them to your own designs. For traditional bathrooms, the classic design of the Cambridge Collection might be perfect - or you might wish to be slightly different by taking the black ceramic twist of the Oxford Collection. Modern bathrooms might wish to go for the ultra-modern Dexter Collection or lend a classic air to a contemporary look with the Art Deco-inspired Astoria Collection. In addition, some ranges, such as the Baroque-influenced Istia, truly have their own sense of style which can't be contained. 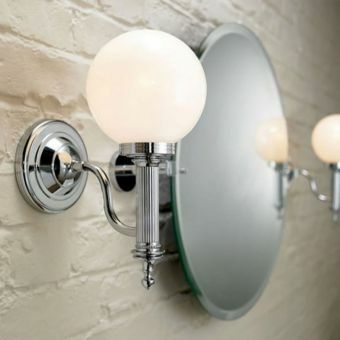 However, many of the accessories are designed with a sense of style that can fit in or boldly stand out in very different styles of bathroom - so you'll have plenty of opportunity to be bold and creative. All of our collections are listed below: have a look through to see if you have any ideas, and find out which ones could be perfect for giving you your dream bathroom. 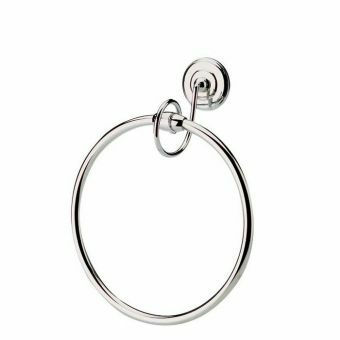 Designed with simple, bold yet elegant shapes, the Richmond Collection is designed with timelessness and versatility in mind. 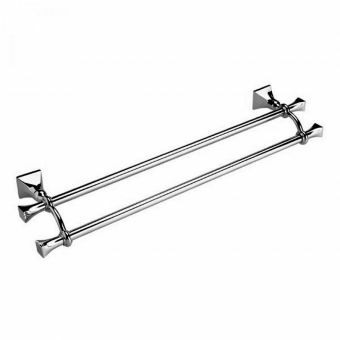 The classic designs here will look at home in almost any style of bathroom and are guaranteed to be a perfect fit, whatever your decor - whether traditional or modern. 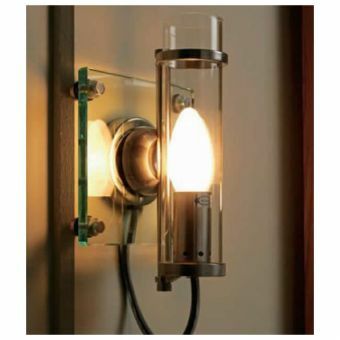 Many of the Richmond Collection items are available in a choice of chrome, antique gold, or polished nickel, to help you choose the perfect fit for your own sense of style. 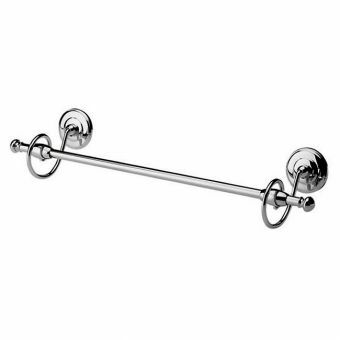 The double towel rail, robe hooks and toilet roll holders all make use of bold, rounded and simple bars in their construction which are at home in contemporary and classic bathrooms alike. 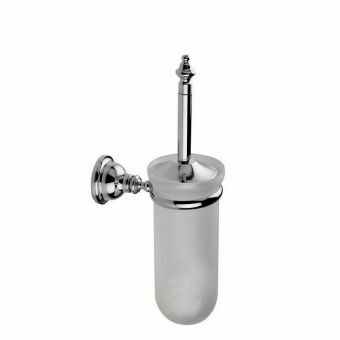 The wall-mounted soap dispenser also lends some classic style, making this a truly elegant range of accessories to brighten up your bathroom. 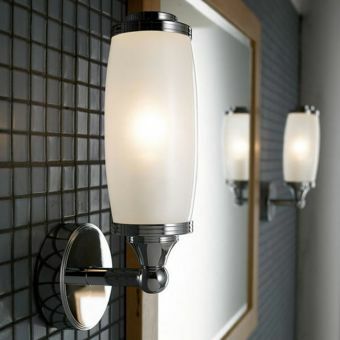 Influenced by the Art Deco style of 1920s New York and beyond, the Astoria Collection stands out thanks to its bold, hexagonal wall mounting, which will provide a subtle yet clear contrast to your accessories and fixtures when designing your dream bathroom. 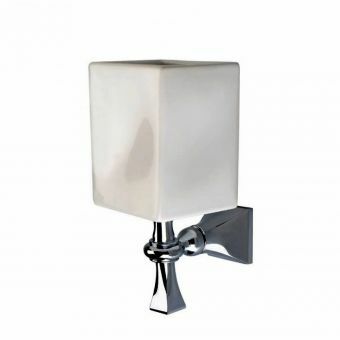 The tumblers and soap dispensers available in the Astoria collection also have a design which helps them truly stand out, giving your bathroom an extra element of style which will help to really set it apart from standard designs. 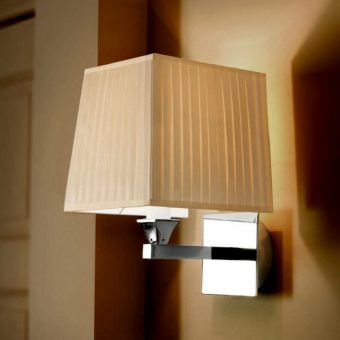 Overall, the unique shapes of the Astoria Collection will help to bridge the gap between a classic design and a modern look, with the Art Deco style remaining a fresh aesthetic even in the twenty-first century. 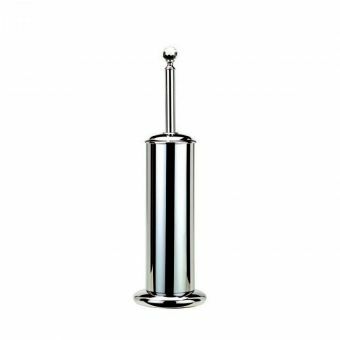 A timeless twist on the clear, bold lines that define modern and contemporary bathrooms, this will give you something up to the minute, yet also very different from the rest of the crowd. 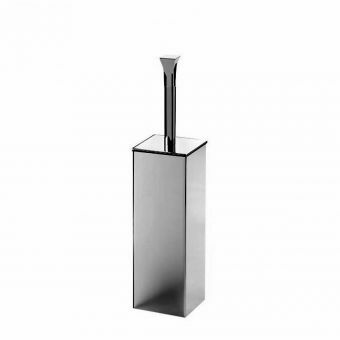 The Dexter Collection is designed with a modern, minimalist look in mind. 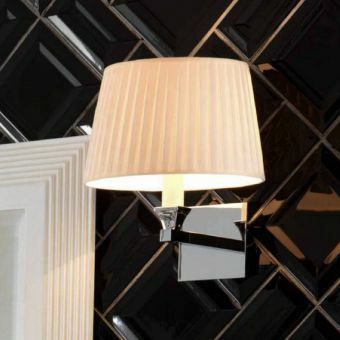 The pleasing, geometric shapes come together to form bold, clear lines, making them perfect for contrasting with darker backgrounds or blending in seamlessly to create a bathroom which is clean, clear and simple. 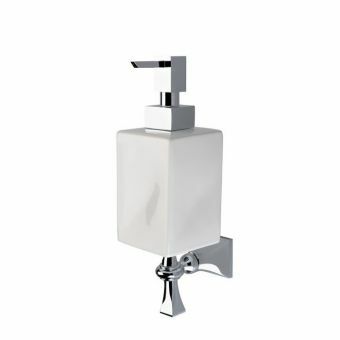 The squared bars of the towel ring and towel rail perfectly illustrate the simplicity and style of the Dexter Collection, while the white ceramic tumblers, soap dispensers and soap dishes help to introduce other materials and more contrast while sticking to the minimalist ethos of the design. 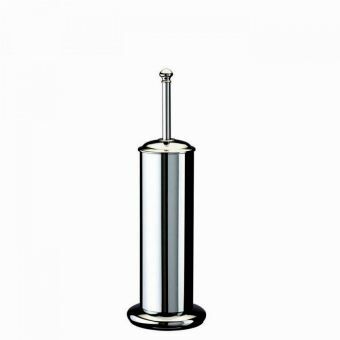 For the modern bathroom, which prioritises clear straight lines and clean, smooth spaces, there is no better collection to really bring your design together than Dexter. 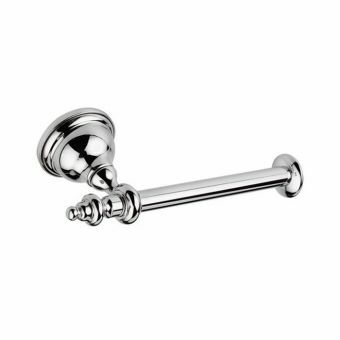 The Cambridge Collection provides a timeless look which is perfectly at home in more traditional bathrooms. Yet a classic design shouldn't mean that your bathroom won't also be stylish - the white ceramic allows for smooth, flowing forms to give your bathroom an extra layer of class. 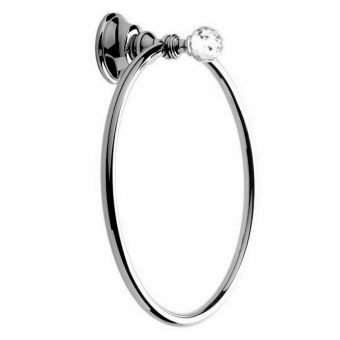 The bevelled oval mirror is just one of the ways in which the Cambridge Collection brings the style and glamour of the past into the modern world, while the white ceramic fixings on the towel rail and towel ring provide the perfect bridge between the old and the new. 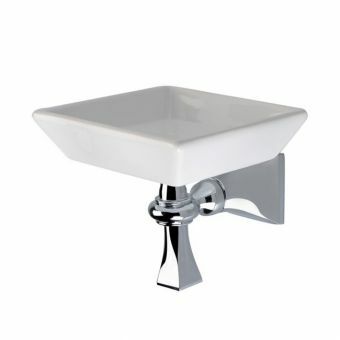 For a bathroom which stands out as traditional yet highly modern, this is the perfect collection. Faceted Crystal Glass makes the Pimlico Collection one of the most unique and striking around, turning a classic design into something truly special. 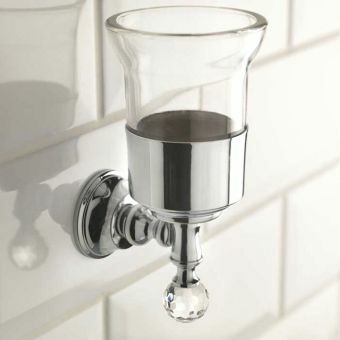 The wall-mounted tumblers and soap dishes are a great example of how the elegance of crystal can be transformative on simple items, but it's on the towel rails, towel rings and robe hooks where the class of the Pimlico Collection can truly be seen. 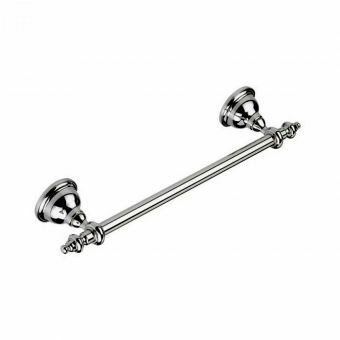 The Chrome, Antique Gold or Polished Nickel bars, bold in design and layout, are accented by crystal glass balls at the ends, making them truly unique. 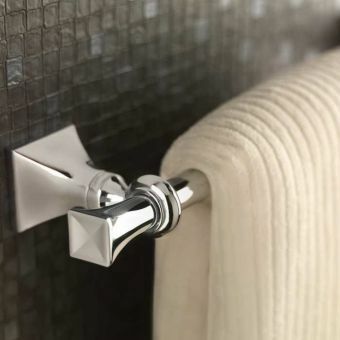 Whether traditional or contemporary, any bathroom can be transformed from the mundane to the ultra-stylish with this radically elegant collection. The Oxford Collection gives a stunning twist on a classic design by using traditional, free-flowing shapes for its fixings, but in a modern black ceramic. Much like the Cambridge Collection, the Oxford Collection helps to bridge the cap between the timeless and the modern, but with the addition of black ceramic to give it its own style and edge. The wall-mounted shelf is the most striking example of this collection, while the rounded shapes also help to keep the design firmly rooted in the elegance of traditional designs. Sturdy, robust yet stylish, and easy to clean, the Oxford Collection is always dependable to transform a good bathroom into a great one. 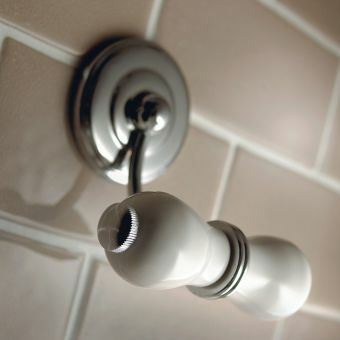 The Highgate Collection stands out from the crowd with its bold, curved square fixings which help it to fit in with almost any kind of bathroom style. 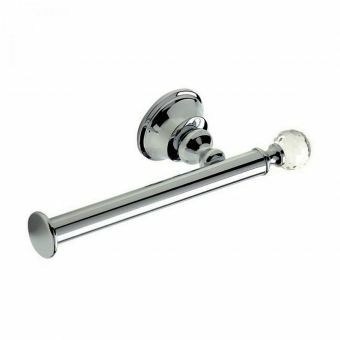 The fluted ends to the fixings and the bold shape of the towel rail lend a smooth, elegant air to the design, while the firm, clear square lines in accessories such as the wall mounted soap dispensers and the free standing toilet brush help the style to remain bold and stylish. This marriage of accented curves and clear straight lines allow you to work both styles into one room, making flowing shapes as modern as the most minimalist, straight-lined designs. The Highgate Collection provides a great degree of versatility while also allowing you to stand out from the crowd. 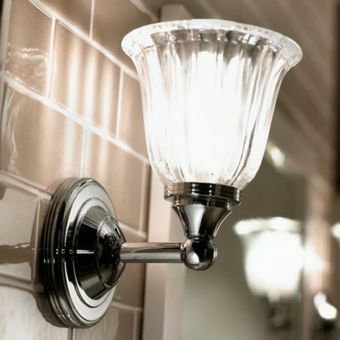 The Avignon Collection is a perfect marriage of the classic and the continental, bringing timeless chrome and frosted glass together for a stunning design. 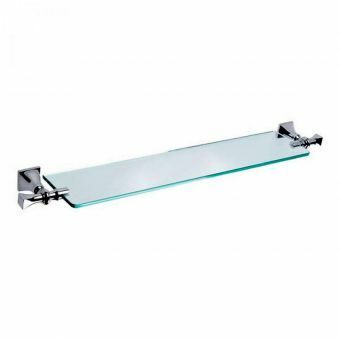 The bold, flowing shapes of the fixings help to bring the look of almost any bathroom together, with the elegant curves present in items such as the wall-mounted glass shelf at home in a variety of different styles of decor. The combination of materials and the classic curved designs will give you a modern looking bathroom which also features some of the best-loved designs from the continent - a unique and excellent blend. 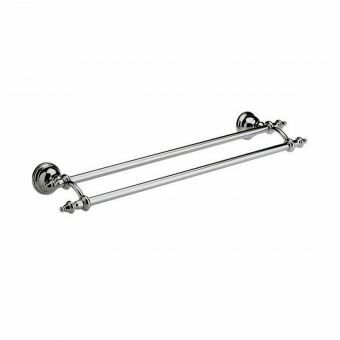 If you're looking for a collection which can fit in with a clean and classic look but make your bathroom stand out with a touch of extra class, Avignon accessories will be perfect. The Istia Collection, inspired by classical Baroque designs, incorporates a stylish curl which will render any bathroom truly unique. A classic design meets modern materials, making it at home in traditional or contemporary bathrooms alike, helping to lend extra flair and class to any style of bathroom. 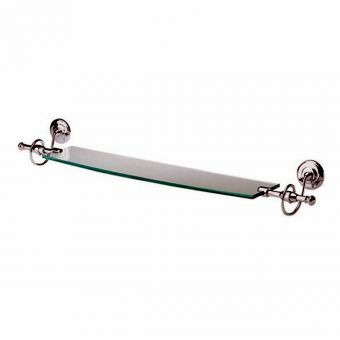 The robe hooks, tumbler holders and toilet roll holders use the classic swirling motif, while the curved glass shelf also helps to build on the flowing lines to create a truly stunning set of accessories. Regardless of whether your bathroom is traditional or contemporary in its design, the Istia collection guarantees a flourish which will truly set it apart in style. 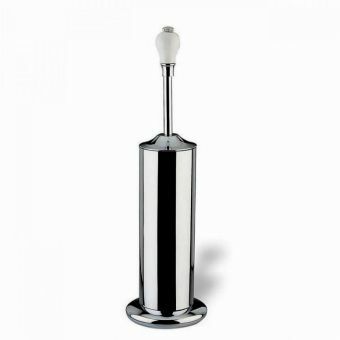 The purity of white ceramic is matched with the clean and bold modernity of chrome to produce this exciting new collection. Versatility is also a key component of the attraction of the Rondine Collection, which has been designed to fit in with a huge variety of different styles, shapes and colours. 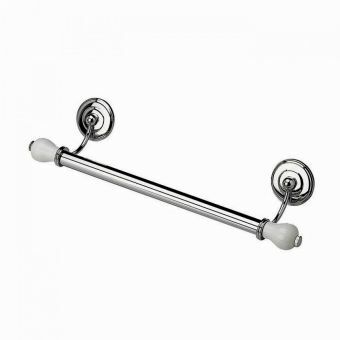 The white ceramic fixings on the long towel rail are the perfect illustration of how this collection allows you to be both bold and stylish when it comes to putting your bathroom together. A classic look, with modern and expansive shapes, make this a design that stands out in its own subtle, understated class. 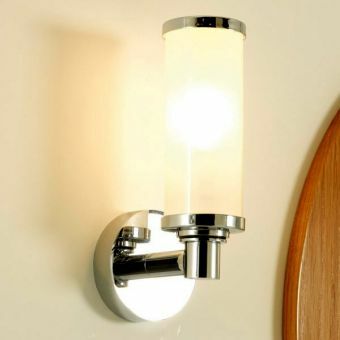 Giving the bathroom a warm, ambient level of illumination, Imperial light fittings are a joy to behold. 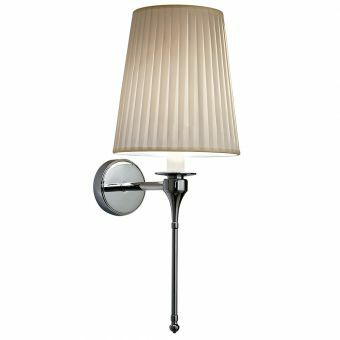 Rendered in Art Deco, Victorian and Parisian styles, each of these lights is fully tested to IP44 for safe use in the bathroom environment. 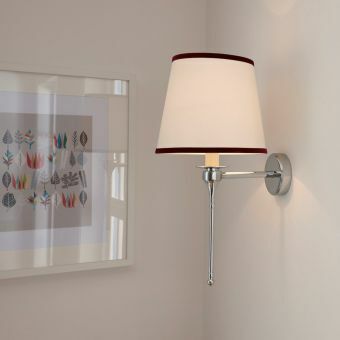 As an alternative to standard overhead lighting, they are a fine addition to the period interior and area capable of matching their relevant style exactly.